What are Uber doing Indoors? Uber indoors! Wait a minute Uber is known as a Taxi company. That is changing, they have delivery services, carpooling and are ever expanding their offering. The next phase is self-driving vehicles, not just cars but trucks as well, as the recent acquisition of Otto shows. The main point is creating a convenient, faster and safer alternative to what previously was the status quo. This is where Indoor Positioning is an obvious advantage. Drivers locating passengers or goods is a big inefficiency that has yet to be solved and something that might have actually been made worse by Uber as the cars do not stand out like a Yellow cab (except for in the middle of a sea of yellow cabs). Through indoor location, it could be easy for passengers to be directed to their cab. For Drivers, it might be possible to save on parking or judge if they should go around the block another time before they make their pick up. This could become even more important if the Uber Ambulance service takes off, getting a patient to the right area as quickly as possible. Are Uber going to Beaconize the world? All that can be said to that question is maybe. However, the more realistic answer is that they gain access to existing beacon infrastructures, further increasing the ROI of a beacon installation. Through using an “Open Beacon Environment”, the all parties benefit. The venue itself has a great feature that helps their visitors get the most out of the venue, the users are more aware of the offerings and a third party, Uber in this case, can reduce connection times between the driver and the fare. Where is the pain point? Uber have solved the problems of convenience of getting a taxi, cost of owning a car and even long term parking. It is the first 1% and the last 1% of the journey that is still a pain point, finding your fare and reducing that time. This is Uber indoors, at the current time a bit like a fish our of water. Loading zone restrictions, no parking, kiss & ride areas are all for quick pick ups and drop offs, but they are only quick of both parties are well informed of the arrival time and place. Just a quick search and you find that parking tickets are causing some issues for drivers worldwide. 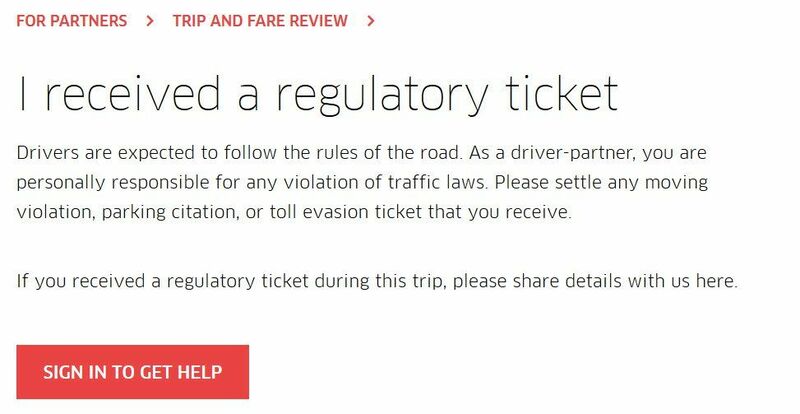 The parking tickets are just one issue, there are a number of different arguments that would make Indoor Navigation a great addition to the Uber offering. As stated previously, inefficiency is at its highest at the start and end of a journey. Showing a passenger or restaurant the quickest way to the Uber will save a lot of time. At the end of the journey this is also the case. When Uber introduce driverless cars and driverless trucks this will be an integral part of the overall solution. Making sure that the truck goes to exactly the right unloading platform and being able to identify the closest workers to unload the truck will maximize the efficiency of the final 1% of the journey for the goods. This is also something that might help save lives with a launch of Uber Ambulance, getting the car to the right entrance and having the right medical staff awaiting the arrival. Here is a quote from a forum board that addresses the issue of Hospital pick-ups as well. We are just scratching the surface with what Uber indoors might look like. To strengthen the argument according to MIT Tech Review Blind people say autonomous cars could transform their lives and are getting involved in vehicle design and regulation. This is an example of a great situation where Indoor Navigation could help the Visually Impaired community become even more independent.